Do you heard this shop before? What's selling there? Is it famous? 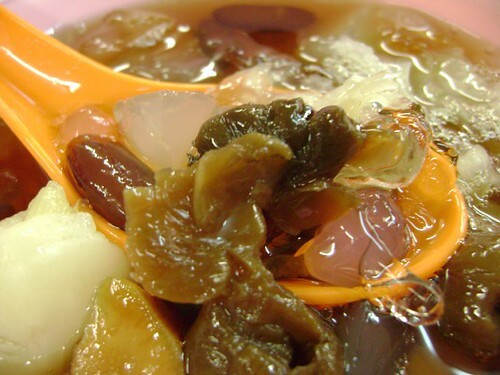 Christmas Eve after countdown, my dad drove us to Jelutong for having the supper sweetmeats. However it's already 12.30am, the shop still crowded of foodies. It's really good business for that night. Wow, this shop is a colourful shop. It's really a 'bright star' at night along the Jelutong market. Have you been there before? 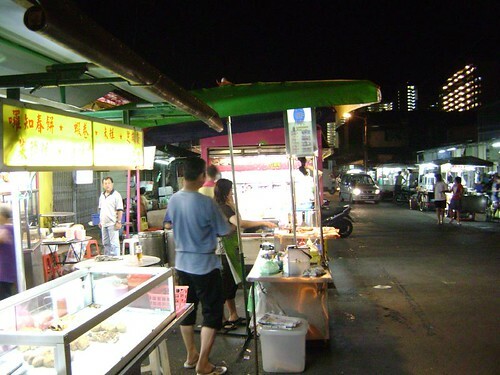 Along the street, beside this shop there also have many of hawker stall. Although it's late at night but they are still serving with some supper for customers. Got fried mee stall, sausage selling stall, Mini bites foods and almost is oriental foods! It's so sweet and tasty. It's best for realize thirsty at night! XD. One bowl cost RM2.20 but I think the price is reasonable because it contains a lot of ingredients inside and can let you add on honey for more sweet! 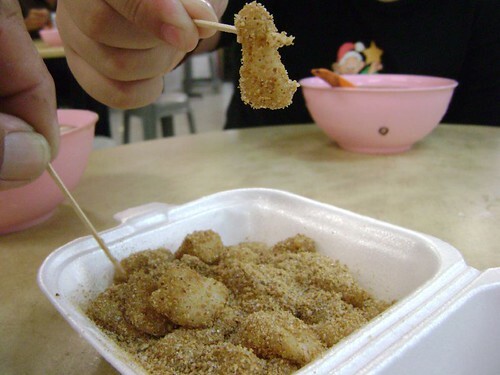 Besides having sweetmeats, my dad ordered some light foods it's just like Muah Ji 麻籽. It also not bad, I like it! 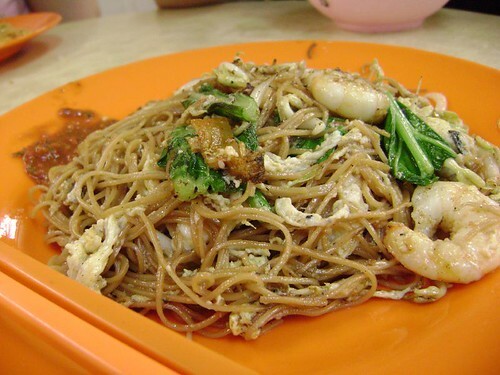 After that, we also have two plates of fried mee. The seller really a kind man, put a lot of prawn and fried with a good taste! Delicious. So now have a new place to go and have your supper rather than always been Old Town or Starbucks. Although here non WiFi provided but the price is more comfortable. No need to spend much you can get more! So you must try out this at night! 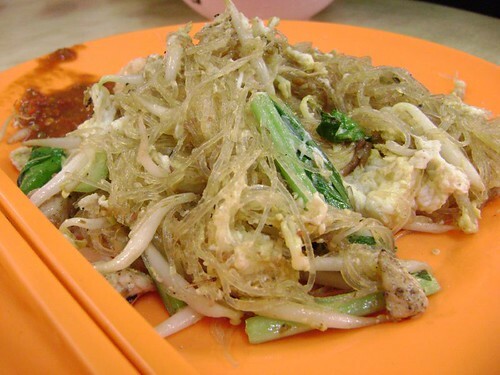 @Penang Tua Pui ya because that time hungry. Yeah, kesian ya... it's hard to clean! 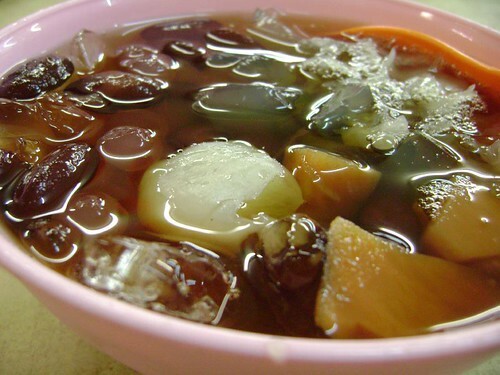 i've jst had their "tong shui" for dessert~ they have another branch along Terengganu Road, after Caunterhall.